Great family home plan! "Casa Del Amore”: house of love! Open and casual with great functionality; each bedroom having it's own bath, and the study of this floor plan is large enough to be a multi function room. Situated in the rear of the home it allows you to take full advantage of your views. A spacious master bedroom, gives you plenty of room for a sitting area to enjoy the view also. 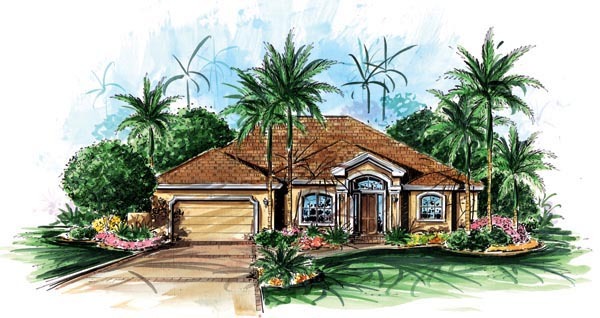 This home plan is great for waterfront lots & golf course lots. Answer: Good afternoon! I was out for the holidays and want to confirm that this was answered for you. The square footage under roof is 2756. Let me know if I can be of further assistance. Have a great day!